Rounds of beer are often ordered at every table in a Korean barbecue restaurant. The pairing of piping hot grilled meats and ice cold beer just seems to be an unbeatable one. Personally, I'm not a fan of beer so I would much prefer makgeoli which is one of my favourite drinks! 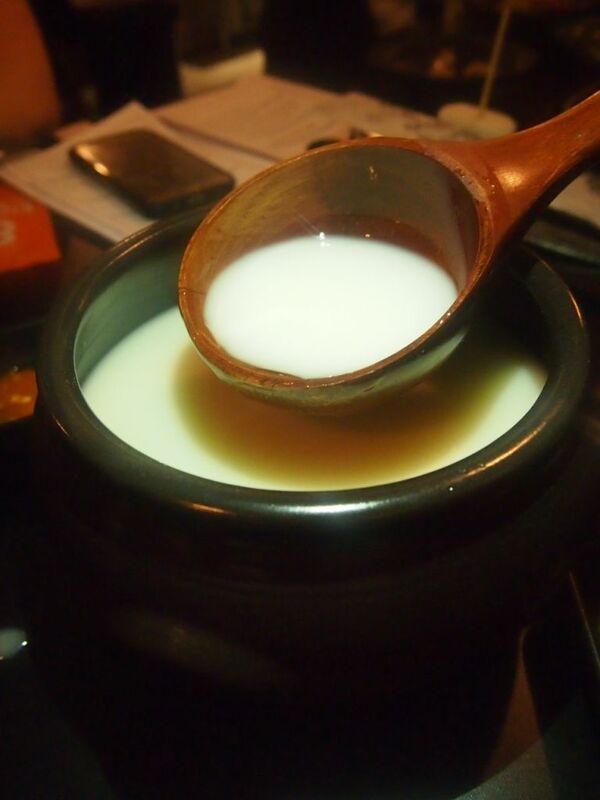 The Organic Honey Makgeolli ($35) is not too sweet and is really easy to drink. They also have Yucha Makgeolli and Passionfruit Makgeolli(my fave!). 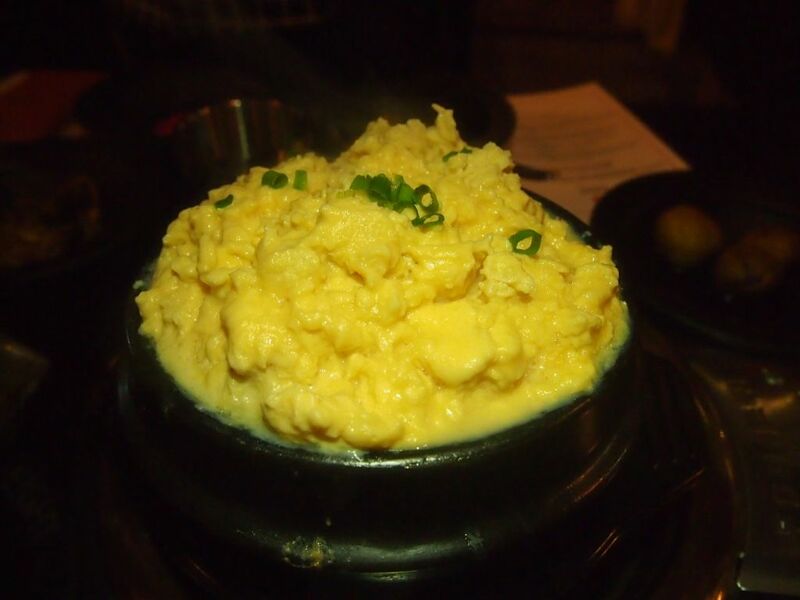 E!GHT's Special Steamed Egg ($12) is painstakingly cooked with a homemade fish stock that has been simmered for eight hours, before it is gently whisked over low heat to create that fluffy texture. I was really excited to try the egg but was quite disappointed by how bland it was. It doesn't do justice to the meticulously prepared fish stock used. 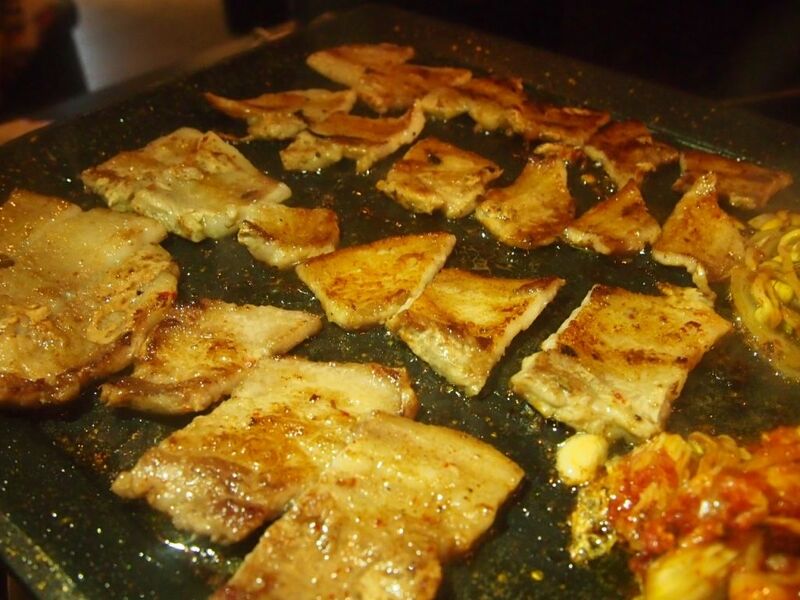 Thick cuts of pork have been served at many barbecue outlets in Korea and have been very well-received. E!GHT hops on the bandwagon and brings you The Big Hog Plate ($45) which sends a massive 360g of the best Hungarian Mangalitsa Pork belly your way. 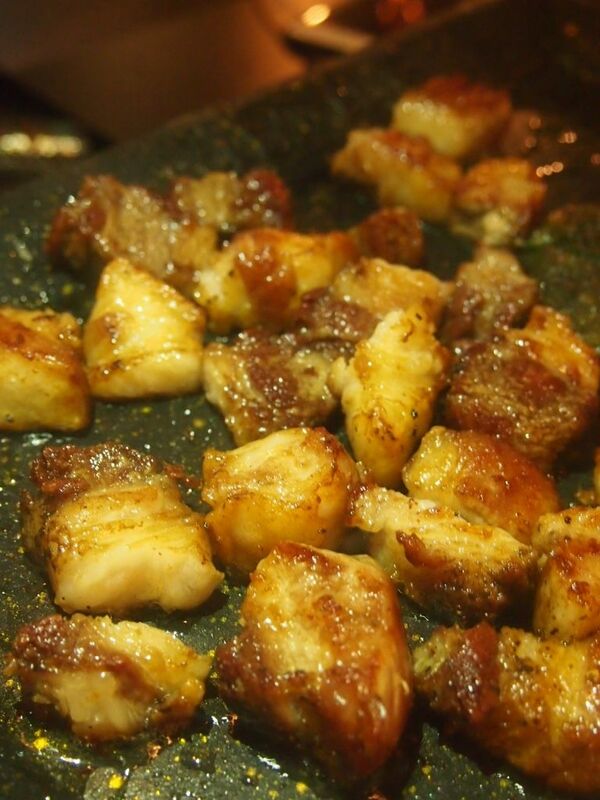 The pork belly is simply dressed with pepper and salt before it is grilled with onions and king oyster mushrooms. The pork belly is crisp on the outside and wonderfully juicy on the inside. 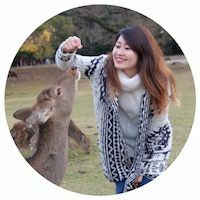 It has a great bite and I have no doubt that you will fall in love with it! The Signature 8 Colours Set ($98) which comprises eight thick strips of Hungarian Mangalitsa pork belly marinated in eight different flavours is definitely the most ordered dish here. 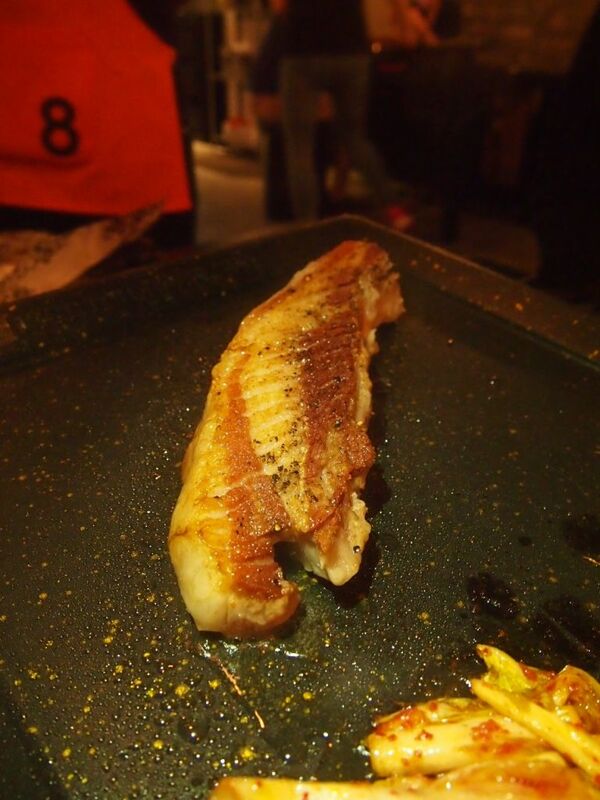 E!GHT only uses 100% Pure Mangalitsa Pork which are raised on a natural diet with no added hormones or antibiotics. 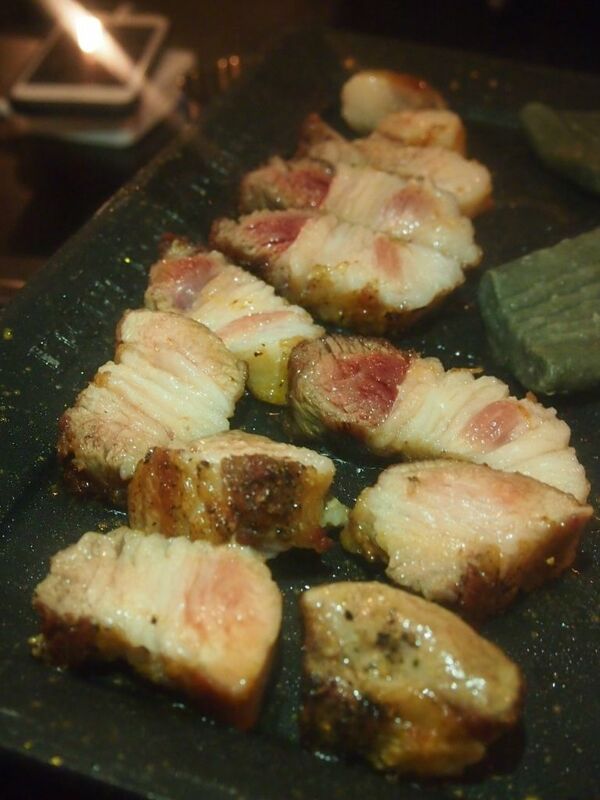 The pork belly has double the marbling of regular pork! The 8 Colours Set is meant for a party of three to four but if you think it's too much for you, you can always go for the 4 Colours Set ($58). 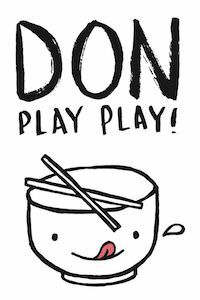 The sets come with housemade kimchi, beansprouts and a stew (four flavours for you to choose from). Pretty worth it, don't you think! Lunchtime has gotten more exciting with the new offerings, such as the Chul Pan, from E!GHT. The Chul Pan featuring thinly sliced meats and assorted vegetables are stir-fried at the table with a housemade gochujang-based sauce. Steamed white rice is served together with the Chul Pan and you can either have it on the side or opt for the rice to be tossed onto the pan together with the meat and vegetables. This is perfect for lunch as it is indulgent, filling and most importantly, it can be cooked and consumed easily within an hour. You will have to bring a friend along for this though as a minimum order of two portions of meats is required for this order to be placed. Choices include Chicken ($15), Pork Belly ($16) and Beef ($18). While the server was walking past with the humongous and gorgeous Bibimbap Bingsu ($28), I was thinking to myself "hey the egg looks great". It turned out to be a peach hahaha. 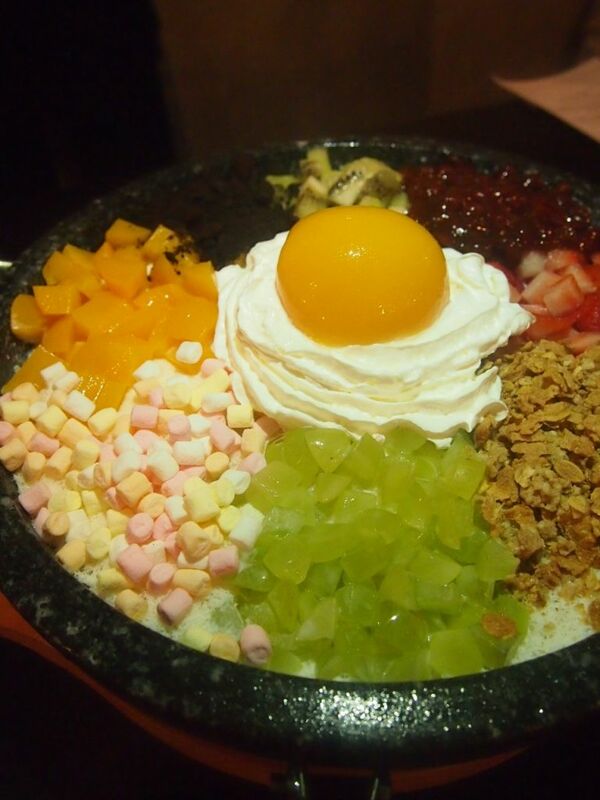 The bingsu comes with a myriad of toppings and I have to say that it is quite a great dessert to round off the meal. 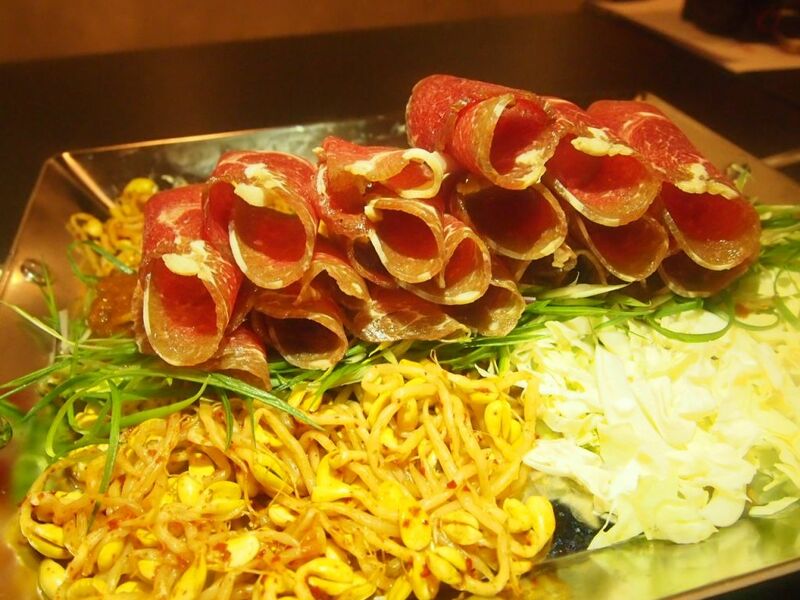 Now you know where to satisfy that Korean barbecue craving when you're in Orchard!